The colour coding of the tip may allows immediate tip volume recognition. BS/003/W WHITE (0.2-10µl) 20 pcs. BS/003/Y YELLOW (2-200µl) 20 pcs. 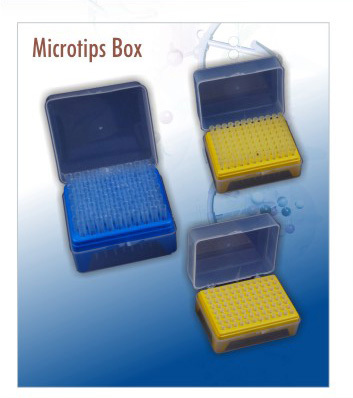 BS/003/B BLUE ( 200-1000µl) 20 pcs.